I get asked this question a lot. In fact, it’s probably the most common thing people say to me when I explain what I do. However they do not all rush to book appointments. So I was wondering why this was, if they felt they had a perceived need for my services. And the answers I came up with are here in this blog. Firstly, what do people mean when they say they’re stressed all the time. Well often, they’re just very busy people; sometimes they like living their lives at high speed, sometimes they don’t. Sometimes there are areas of conflict in their lives; maybe they don’t get along with someone they feel they have to spend time with. Sometimes people just don’t like the life they’ve made for themselves; sometimes they believe that life has to be tough/painful/etc. Stress can take many different forms. A certain amount of stress can be useful to us. It can be the impetus that drives us forwards or protects us from harm or failure. They key is for any experience to contribute positively towards your life. So once I’d found out the nature of the stress, the next question I’d ask is, “what do you want the solution to be?” It is very important to understand our expectations. If you have conflict with someone and you want the solution to be that you are able to change that person in some way, you will be disappointed and I cannot help you. We cannot impose our will on another person with much success. Even if we do manage to control them, behaviour like that usually leads to resentment which is not an ideal situation. Far better to work on yourself and you’d be surprised what can change. You may feel stressed due to the amount you do, but you don’t want to give any of it up. You like rushing around for 90% of the time. You just don’t want to feel uncomfortable for the 10%. While it is possible to create more energy through better nutrition and by clearing the emotional baggage you carry around, I cannot make you super-human. Often we can get the most energy by learning when to rest. If you believe that life is meant to be hard or that in order to reach any goal, you must have pain and suffering, then that will be the life you create. Our beliefs are powerful and tend to define us. If you want to change something, it might involve changing a belief that you’ve been holding on to. The good news is that if you are open to making changes, then I can help you. There will always be a reason for why we are having our experiences. Even if we don’t consciously know what they are, they can be revealed during a kinesiology session. Often we are carrying around unresolved baggage, for example, stuff from our past that we couldn’t deal with properly at the time. Hanging onto this will determine how we react to events happening to us now. For example, if you find yourself in a situation that you hadn’t wanted to be in, and it was unpleasant, you might project that similar experiences happening now will also be unpleasant and feel huge amounts of stress at the thought of having to do them. I struggled with travelling for many years, because of an unpleasant French exchange experience as a teenager. For seemingly no reason, I’d become almost paralysed at the though of having to go away anywhere. We also inherit certain beliefs which we then often hold dear. People sometimes feel that changing beliefs is a sign of weakness, but as we go through life, we learn more and it’s healthy for our view of the world to change. If our beliefs were formed initially from another person, then it might be that they don’t really suit us at all. For example, my father has a belief that financial security is one of the most important things in life, whereas although I have an inherited belief in financial security, it’s not the most important thing for me. This is fortunate as the uncertainty of being self-employed requires me to step out into the unknown and trust. When we clear these blockages, we can make new choices and it’s often surprising how easily and quickly things change. I’ve worked with clients who have had a totally different experience from a similar situation before and after a session. Even the way they talked about a stressor changed during a session itself. So if you’d like to make changes in your life, even if you have no idea of where the problems come from or how it will work, come along and see me – I can help you. 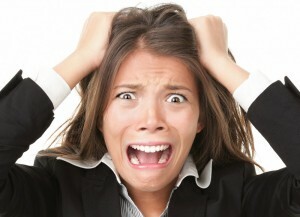 Stress is such a big issue for so many people these days and few of us are excempt from it’s effects completely. Great to find out more about how you can help people – love how you take the time to look at the very individual nature of each particular person’s challenges and find a tailored solution. I love that everyone’s challenges are unique. We are all the product of our lives so far and no two people will have had the same experience, even those in the same families.